Mastery of the core curriculum is at the center of an SSCCA education. Our students are expected to work hard to achieve success in every subject. We recognize that rigorous study develops virtue in students and therefore we set the bar high. 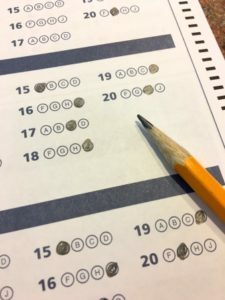 Annual standardized test results of SSCCA students consistently range up to 25% higher than the national average on similar tests in mathematics, reading, and language. In an age when national standards in education are being constantly lowered, St. Stephen’s continues to maintain high standards. Our students have attended high school at places such as Calvert Hall, Chapelgate Christian Academy, Garrison Forest School, Gerstell Academy, Maryvale Preparatory School, Mount Airy Christian Academy, Mount De Sales Academy, Mount St. Joseph High School, Notre Dame Preparatory School and St. Paul’s School.